SG. ME2 variety essay for prepaid 1d envelope. Produced by John Dickinson in 1837 for the Treasury Competition. Made with security paper with 10 " SILK " threads running through it. A very fine example of this scarce essay. SG. ME2. 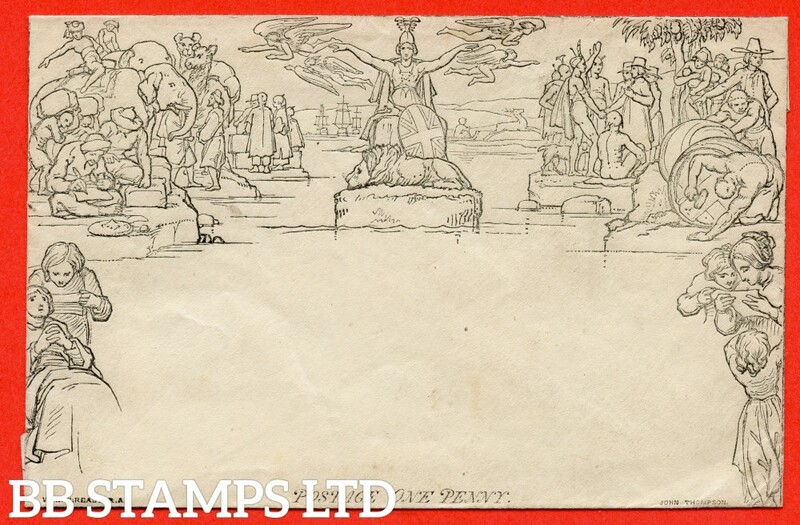 1d Mulready envelope. Stereo " A143 ". 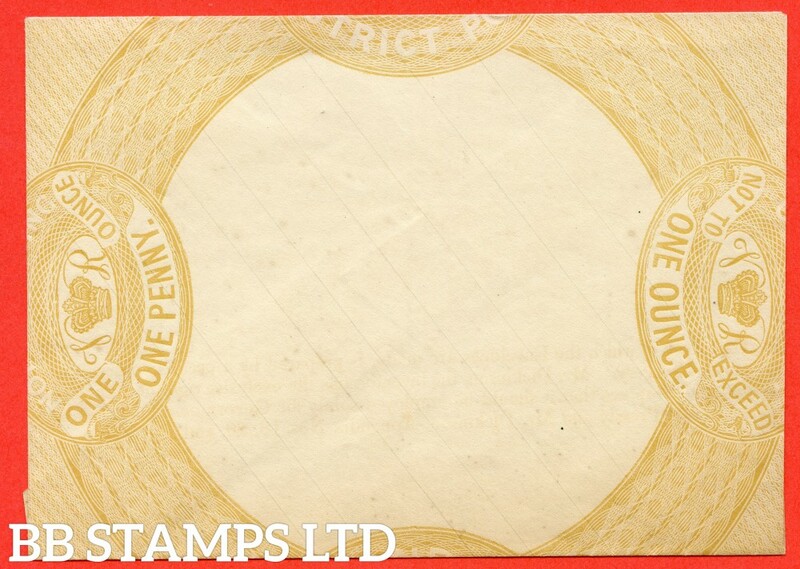 A fine unused example. SG. ME2. 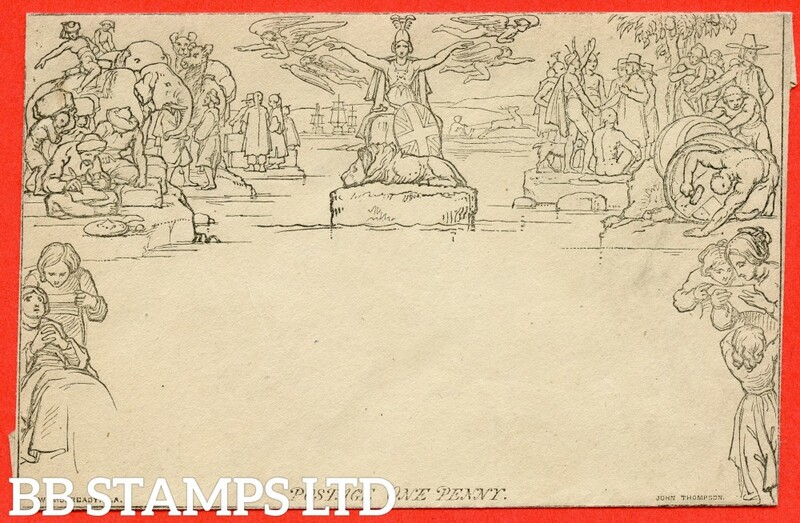 1d Mulready envelope. Stereo " A151 ". 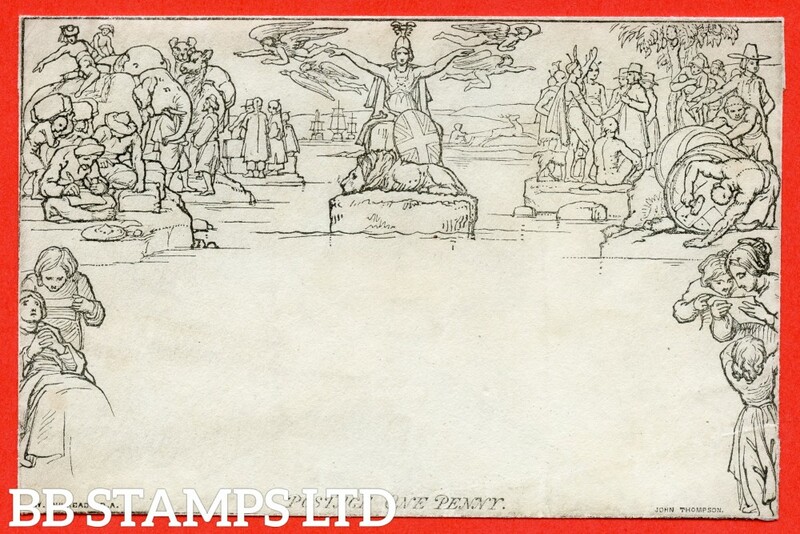 A fine unused example. SG. ME2. 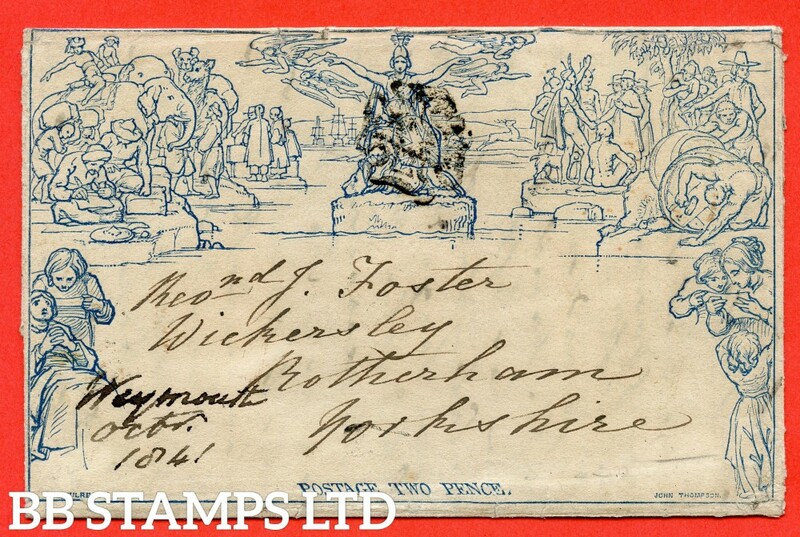 1d Mulready envelope. Stereo " A162 ". A fine unused example. SG. ME3. 2d Mulready lettersheet. Stereo " A97 ". A good used example cancelled by a black maltese cross from WEYMOUTH to ROTHERHAM dated 1st October 1841. SG. ME4. 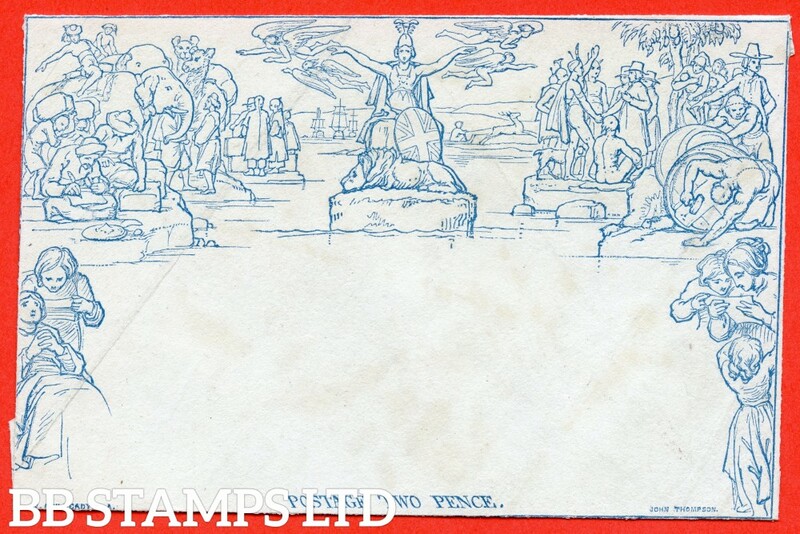 2d MULREADY envelope. Stereo " A195 ". A fine unused example. SG. ME4. 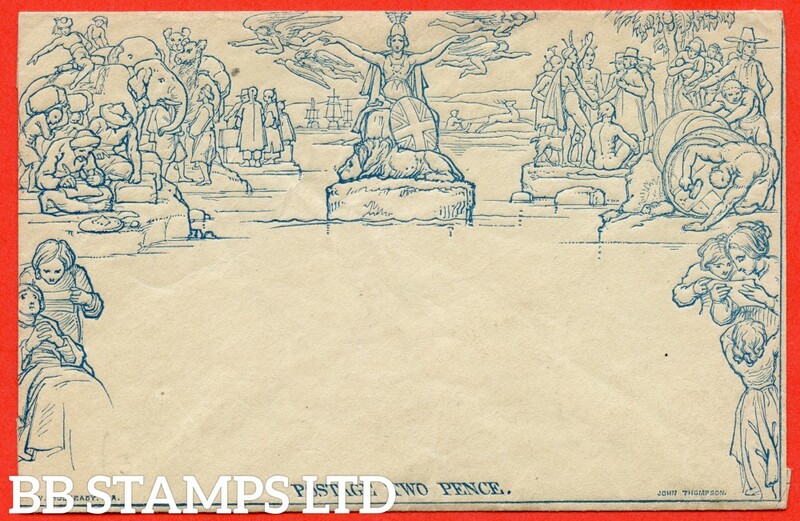 2d MULREADY envelope. Stereo " A209 ". A fine unused example.